Nocturnal desaturation and hypoventilation occur in patients with cystic fibrosis (CF), related to the severity of the underlying lung disease, and are believed to be important precursors to the development of daytime respiratory failure, cor pulmonale, and ultimately death. 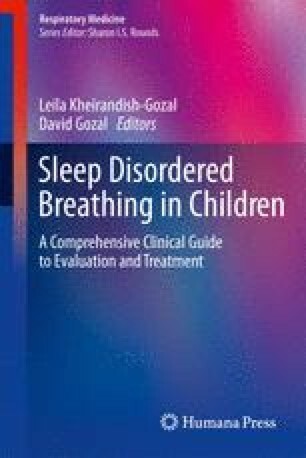 However, a large proportion of patients report poor quality sleep, unrelated to abnormalities in gas exchange, with most studies showing reduced sleep efficiency and more time awake after sleep onset in subjects with CF compared to controls. Poor sleep quality and hypoxia have been associated with adverse effects on neurocognitive performance, mood, and energy levels in CF patients. Although not yet studied in subjects with CF, chronic sleep loss has been associated with increased secretion of proinflammatory cytokines and insulin resistance in healthy subjects. Chronic and intermittent hypoxia has been linked to low-grade systemic inflammation in other disorders and could worsen the already present airway inflammation and tissue destruction characteristic of CF lung disease. Oxygen therapy and noninvasive ventilation both improve gas exchange during sleep and are used widely in routine clinical practice. However, due to a lack of adequately powered, long-term trials, there is currently no robust evidence that these therapies improve sleep quality, improve daytime performance, or improve quality of life. In addition, the impact of these therapies on disease progression remains unknown. Moran F, Bradley JM, Piper AJ. Non-invasive ventilation for cystic fibrosis. Cochrane Database Syst Rev 2009; 1.doi: 10.1002/14651858.CD14002769.pub14651853.